As can be seen in this panel, the local hospitals where the camps were created were very important in the road to recovery - both of the health and the society of the residents. Everyone was in poor health, at least to start. Tuberculosis was rampant, as were anemia and rickets and a host of other diseases. 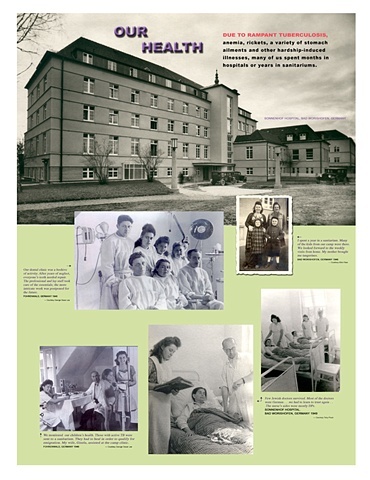 Many people spent long stays in the hospitals.